Truth from the Heart: The Political Philosophy of Frank Underwood in "House of Cards"
The Political Philosophy of Frank Underwood in "House of Cards"
The writers of Netflix’s House of Cards could never be accused of understatement, as the ubiquitous presence of Frank Underwood’s “F.U.” cufflinks illustrates succinctly. Over the course of the show’s three seasons, we witness the political ascent of Francis Underwood and his wife Claire to the Oval Office. The Underwoods are experts in the exercise of realpolitik, in which politics is fueled by the pursuit of power. Frank Underwood describes his political doctrine as “ruthless pragmatism,” a clear allusion to Machiavellian realism. 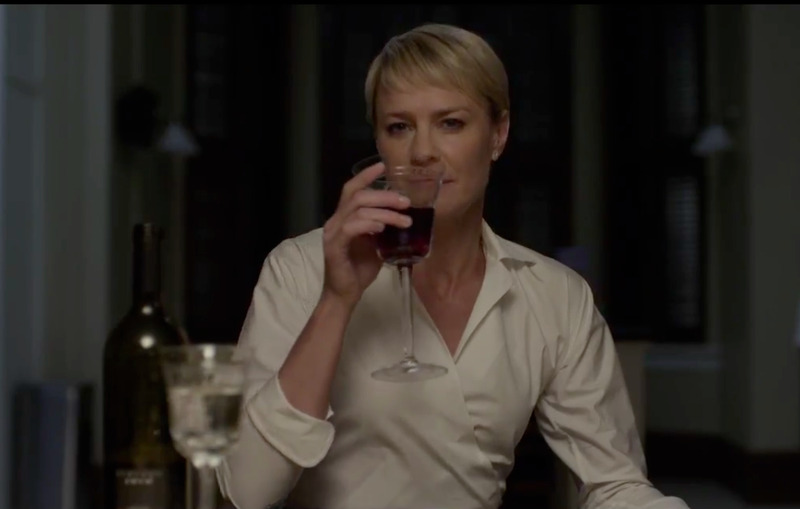 For Francis and Claire Underwood, the end always justifies the means, even if that means includes murder. The Macbeth and Lady Macbeth of American politics will stop at nothing to consolidate and maintain their grip on power. They do so not out of a misplaced desire for the good of others, but for their own advantage. The Underwoods’ moral universe is not one of good and evil, justice and injustice, but of absolute power. Their “vaulting ambition,” in the words of Shakespeare, is food for their parasitic marriage and gasoline poured on the fire of their political objectives. At the opening of the first episode, Frank Underwood is the Majority Whip in the House of Representatives. Cast aside for a cabinet position by the president he helped elect, Frank undermines the new administration through political manipulation, motivated not only by personal revenge, but by his pursuit of the power behind the throne. 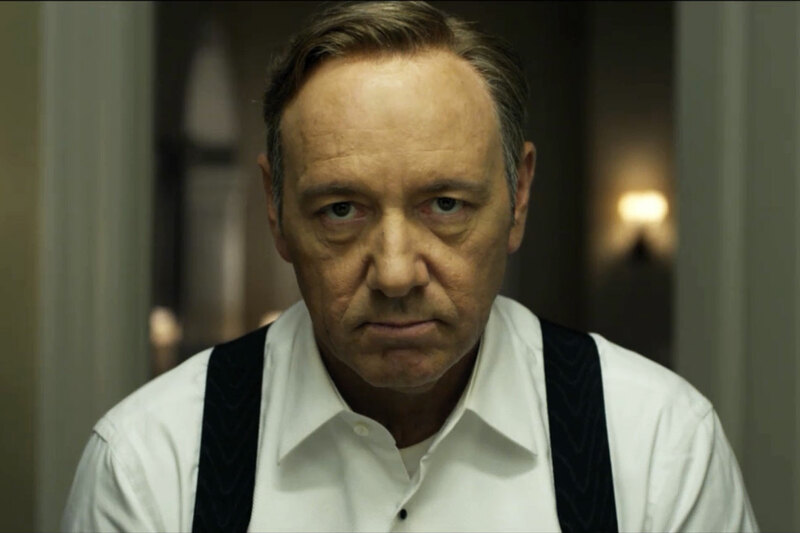 Ascending to the vice-presidency and then to the presidency without ever being elected by the American people, Francis Underwood is essentially a Machiavellian version of former (and real) president Gerald Ford. 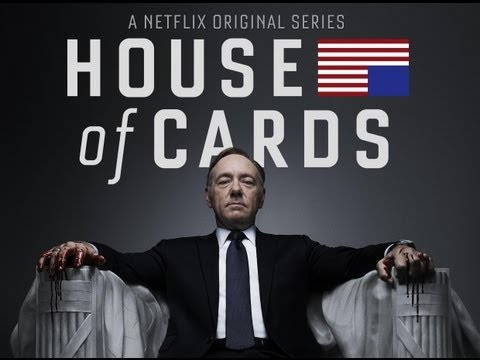 The third season of House of Cards revolves around the Underwood presidency. Having achieved the nation’s highest office, political survival is now Frank’s sole aim. Although many might dismiss the show as a bleak depiction of power politics, I argue that there is a strong philosophical undercurrent to the political conflict that illustrates the overall incompatibility of modern political thought with the Christian understanding of politics. This is not to say that modern political philosophy should be dismissed in its entirety, or that (limited) realism is not a necessary component to the practice of politics. It is to suggest, however, there is more at stake than simple differences in philosophy. There is a difference in worldview. This lecture should not assail Underwood, who is, in the words of Macbeth, “in blood stepp'd in so far.” However, the sight of Mahmoud, bound to a wheelchair by the decision of an American president, briefly jolts him out of Machiavellian politics and back into reality where even executive decisions have a moral dimension. Forced to grapple with the concept of right and wrong, Frank goes to a church to seek instruction from the bishop. 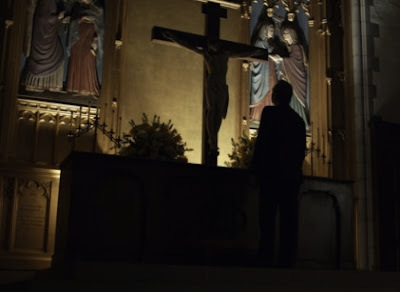 The two men stand in the darkened church, with only the flickering light from candles on the altar illuminating their faces. In the conversation that follows, Frank and the bishop embody the dialectic between Christian political thought and the strictures of modern political thinkers like Machiavelli and Hobbes. Frank’s leading question reflects the central theme of political philosophy: “I want to understand what justice is.” I argue that the truth of one’s political philosophy, or how well it corresponds to reality, hinges upon one’s definition of justice. 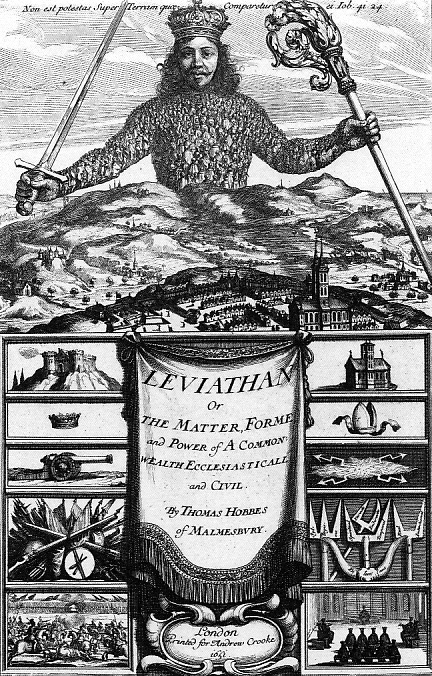 This is the generation of that great Leviathan, or rather (to speak more reverently) of that Mortal God… For by this authority, given him by every particular man in the common-wealth, he has the use of so much power and strength conferred on him, that by terror thereof, he is enabled to form the wills of them all. Frank’s actions are the living embodiment of Hobbes’ treatise. He tells the bishop, “I understand the Old Testament God, whose power is absolute, who rules through fear - Him.” Although Frank has a rather shoddy understanding of the God of Abraham, Isaac, and Jacob, the viewer sees that his notion of politics is primarily rooted in the idea that the crux of politics is not justice, but the strength of one’s power. Frank Underwood is the Leviathan. The conclusion of the conversation between the bishop and Frank vividly conveys the consequences of the loss of a Christian worldview in modern political thought. “Two rules: love God; love each other,” the bishop tells President Underwood. For politics, as informed by Christian principles, was not designed to limit us to a set of rules. It was designed to bring us beyond our congressional catfights and executive orders to something higher than ourselves. It was meant to help us love God and love each other. This higher understanding of politics is what Aristotle implies when he calls political science the “architectonic,” or highest, science. Politics as understood by men like Frank Underwood is petty and small-minded. A Christian worldview elevates politics out of this microcosm and into a larger reality. The church scene concludes with an action that perfectly illustrates what Thomas Hobbes could not convey through the small type of the printing press. Frank asks the bishop for some time to pray in private, walks to the altar and stands before the crucifix in mockery, looking into the eyes of the figure of Christ. "Love," he says. "That's what you're selling. Well, I don't buy it." Suddenly, he spits on the face of Christ, as the Roman soldiers who stood before the True Cross did two thousand years ago. Frank then pulls out a handkerchief to wipe off his spittle, and seized by hatred, instead yanks the porcelain figure of Christ off the cross and onto the floor of the church, where it shatters into pieces. This is what the modern secular vision of politics does. It is an attempt to pull Christ off the cross, to destroy the Christian worldview. But "ruthless pragmatism" is not realism but delusion, and modern secular liberalism is the true house of cards. I have a passion for classic literature, history, and politics, and I hope to pursue an academic career in international affairs. I write best while sipping coffee, listening to beautiful music, and cuddling my cats.